Shower Enclosures, Steam showers, Sliding Shower Doors, Shower Glass Replacement, Screen Repair, Glass Shelving, New Windows, Window Replacement services offered. 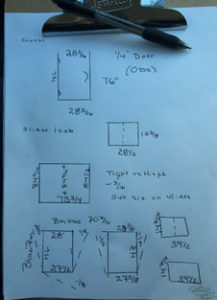 How Long will it take to install my Custom Shower from measurement to installation? ed for an exact fit. What’s Difference between Annealed & Tempered Glass? One of the biggest differences between these two types of glass is the durability that they provide. Tempered glass is quite a bit more durable and strong than annealed glass. 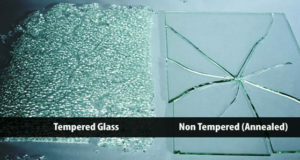 Tempered glass will hold up to quite a bit more wear and tear than other types of glass. Tempered glass is typically much thicker and harder than annealed glass. Tempered glass can be 10 times stronger. Another difference between these two types of glass is the cost involved. The initial cost of buying tempered glass is usually quite a bit higher than paying for annealed glass. Therefore, annealed glass is the choice of those that are on a budget in most cases. The cheaper windows that are in the market are commonly made out of annealed glass. Tempered glass takes a longer process to make and a lot more goes into making them than with annealed glass. Therefore, in order to accommodate for the extra processes involved, there is a higher charge for tempered glass. However, if you consider the long-term costs involved, tempered glass might actually be cheaper. Annealed glass has a much higher probability of breaking. Therefore, over the years, you might have to replace annealed glass more often. This means that a tempered glass could last quite a bit longer than an annealed one and save you money in the long run. Another key area where these two types of glass differ is in the safety concerns. With annealed glass, when the glass breaks, you will get many sharp and jagged shards of glass everywhere. This can cause significant injury to anyone that is around. With tempered glass, it will actually break into small and rounded pieces of glass. Therefore, there is a much greater likelihood that everyone in the vicinity will be safe. Therefore, if safety is a major concern for you, you will want to go ahead and spend the extra money to get tempered glass. 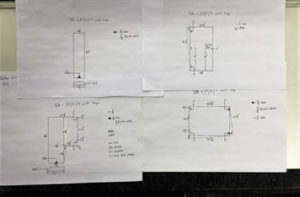 Can Keller Glass & Mirror help me with both Annealed and Tempered Glass? Yes! We can cut Annealed Glass in shop. Most small cuts can be done while you wait in our Custom showroom. Larger cuts and orders can be ready as soon as the next business day. All in-house cuts will be measured precisely, flat polished and ready to go! We can order any Tempered, Polished, Beveled, Specialty Glass, Ect. at Keller Glass. These types of glass take from 3 to 5 business days to make; however, they will be made to your specific Custom needs! What kind of Mirror’s can I get from Keller Glass & Mirror? Any! We can cut most Mirror in-house. We cut Mirrors from 2x4in to as large as a Wall of Mirror for your Gym. Mirrors for you Bathroom, Kitchen, Home or Office are available. No Mirror job is too big or small. Beveled and other Custom Specialty Mirrors can be ordered on the spot! I’m a Custom Home Contractor, Can Keller Glass & Mirror Help me? At Keller Glass & Mirror we work with everyone whether you’re a CONTRACTOR • HOMEOWNER • ARCHITECT • DESIGNER • BUILDER• REMODELER. We’re here for all your Glass & Mirror needs! Is Keller Glass & Mirror Insured? Keller Glass & Mirror – We carry all appropriate business insurance to protect our customers, our employees and ourselves. Is Keller Glass & Mirror part of the Better Business Bureau? Yes! 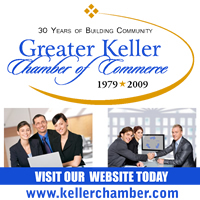 We are also a Member of the Greater Keller Chamber of Commerce, Keller Lions Club and more. We will always be a part of the Keller Community as well as the rest of DFW! Is Keller Glass & Mirror Family Owned? For over 25 years! The Eon Family (Roy, Susie & Jon) will continue to provide the utmost Customer Service and Custom Glass needs for another 25 years!